Whether you buy a ham to use in dishes or to use as a main dish, you're bound to have leftovers. Today, most hams you buy at the grocery store are labeled "fully cooked," so preparation is a snap. Just follow the package directions and heat the ham to an internal temperature of 140 F. When reheating leftover ham, make sure that you heat to a temperature of 165 F for food safety. You can freeze leftover ham for up to six months, but for best quality, use the frozen ham within two months. Freeze meal-sized packages of sliced or diced ham for casseroles and sandwiches. Or freeze larger chunks or the meaty ham bone for flavoring beans, soups, and stews. Add diced ham to scrambled eggs, frittatas, breakfast casseroles, or omelets. Add chopped or slices of ham to your favorite macaroni and cheese casserole. Dice leftover ham and use it in scalloped or au gratin potatoes. Add diced ham to corn pudding or casserole. Sliced ham makes excellent sandwiches. Diced ham can be added to many appetizers like these tortilla rolls. Add leftover ham to Alfredo sauce with chopped green onions for a tasty pasta-topper. From from casseroles and breakfast dishes to soups and sandwiches, you'll find something you love. These tasty single-serve quiches will reward you with a thankful family and plenty of smiles. 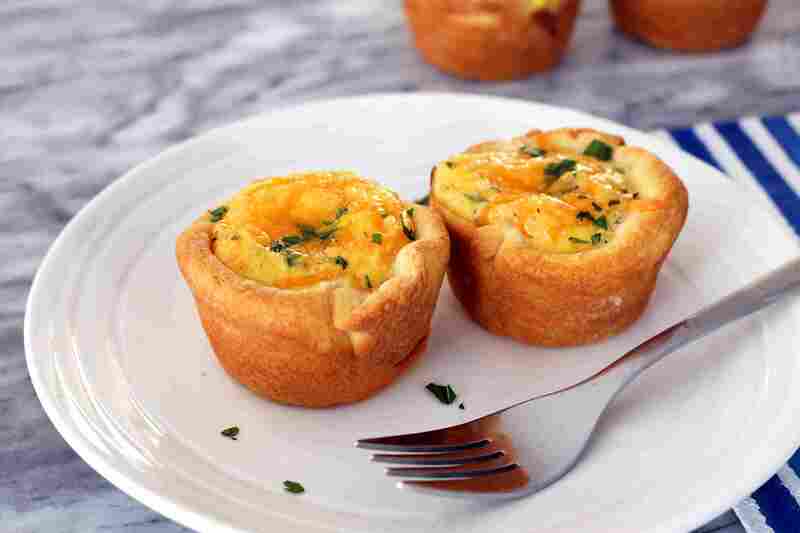 Bake them and freeze them for quick busy day breakfasts. This moist, delicious hash lends itself to all kinds of variations. The basic ham and potato hash includes onions and bell peppers, but feel free to change it up a bit and use green onions or chopped red bell pepper for extra color and flavor. Broccoli and cheese complement the ham beautifully in this tasty one-dish rice and ham casserole. Feel free to swap out the broccoli with another vegetable if you like. Ham, peas, rice, and cheese make up the savory filling for these filo rolls. An overnight breakfast casserole cooked in the crock pot makes getting out of bed entirely worth it. The versatile egg mixture is a breeze to fix, and all you have to do in the morning is serve and eat. Leftover ham teams up with fresh spring asparagus in this creamy pasta dish. The dish is a straightforward combination of leftover ham, cooked pasta, asparagus, cream, and Parmesan cheese. There's no sauce to fuss with; just mix the ingredients and enjoy. Put the South in your mouth with this excellent ham and cheese cornbread sandwich. A combination of Duke's mayonnaise and chow chow relish make up the fabulous spread. Chunks of ham, cheddar cheese, parsley, and chopped spinach team up in this creamy soup. The soup is entirely homemade, so you can be sure you're feeding your family a nutritious meal, made with love. These stuffed mushrooms illustrate yet another way to use that leftover ham. Diced ham is combined with complementary ingredients—Parmesan cheese, spinach, and mozzarella—and some breadcrumbs to make a savory filling for ​mushroom caps. Leftover ham gets creamy, cheesy new life in this delicious casserole. The buttery breadcrumb adds satisfying crunch along with extra flavor. Amp up your ham sandwich repertoire with this fabulous ham salad. Sweet pickle relish is the secret ingredient to their great flavor. A savory brunch quiche is another excellent way to use leftover ham. This quiche combines diced ham with broccoli and sliced grape tomatoes. The tomatoes add moisture and refreshing color. Use ham hocks or a meaty leftover ham bone in these comforting pinto beans. Serve them with freshly baked cornbread and some chow chow relish for a classic Southern meal. A jar of Alfredo sauce makes this delicious manicotti casserole a super easy preparation. A creamy sauce and two kinds of cheese cloak the ham-stuffed manicotti. These roasted potatoes become a complete meal with the addition of cubed ham and seasonings. Serve this dish with a tossed salad or steamed vegetables. This unbelievably easy casserole is made with only four ingredients. The dish takes advantage of leftover scalloped potatoes and ham. Just add cream and some cheese. Go international with this classic Parisienne sandwich. And don't let the fancy French name fool you; it contains only five ingredients. Instead of split peas, this refreshing British soup gets its vivid color from frozen green peas. A hearty salad is another splendid way to use leftover ham. Serve this chopped salad as a luncheon dish or entree. Sliced fresh potatoes and ham are combined in this slow cooker dish. Condensed soup and cheddar cheese make up the creamy sauce. This hearty South American stew includes vegetables, some tomato paste, chipotle chili powder, and you guessed it, ham. Fried rice is a delicious and creative way to use leftover ham, and the dish offers plenty of flavor and texture. Ham, pork, Swiss cheese, and sliced dill pickles are combined to fill a loaf of Cuban bread. Try these amazing hot sandwiches. Give your leftover mashed potatoes and ham a makeover with these deep-fried golden ham and potato croquettes. Pack these tasty ham salad wraps in lunch boxes or pack them in an insulated bag and take them along on a hike. 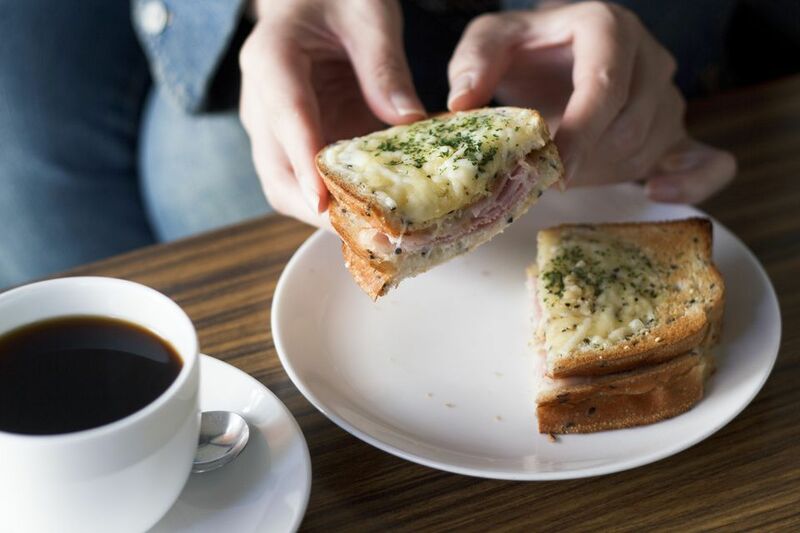 These little sandwiches are always a hit. ​Ham, cheese, and honey mustard make up the filling. This recipe features ham and potatoes enveloped in a savory egg omelet. Ham and chicken team up in this lively pasta salad. It's a mash-up based on the classic dish, chicken cordon bleu. Making eggs Benedict for two people is easier than you might think. Follow these step-by-step instructions for elegant eggs Benedict in about 35 minutes. A leftover ham bone or ham hock seasons this comforting lentil soup. Make a big batch—it's even better the next day. These tasty breakfast biscuits are sure to please. The filling for these warm biscuits includes ham, honey butter, and Muenster cheese.